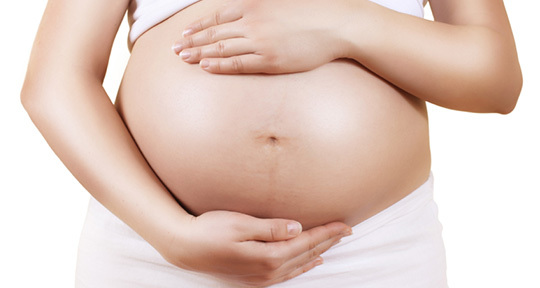 Certain chemicals may make it harder, and take longer, for women to become pregnant. A new study by Germaine Buck Louis and colleagues at the National Institute of Environmental Health Sciences took a novel approach to exploring how environmental pollutants may impact the time it takes for couples to conceive. This study was unique because it looked at the presence of certain chemicals in the blood and urine of both men and women before they began trying to have a baby and looked for correlations between exposure to these chemicals and the time couples took to conceive (if they did conceive). Among these chemicals were polychlorinated biphenyls (PCBs), which were used as coolants for electrical equipment until they were banned in 1979, and perfluorochemicals (PFCs), which can make products fire- and stain-resistant (among other applications). PCBs and PFCs have long half lives (eight to ten years for PCBs). Because the study was long-term, the researchers did not look into chemicals with shorter half-lives, like bisphenol A and phthalates. To track down and recruit the 501 couples involved in the study —all of whom wanted to conceive within the next six months— the researchers used a marketing database and a fishing/hunting license registry. The couples all lived in counties in Texas or Michigan that were known exposure sites for persistent environmental chemicals like PCBs or PFCs. The researchers calculated a 'fecundity odds ratio' for each couple that took into account possible confounds such as age and body mass index—this was basically an estimate for how long the researchers expected it would take that couple to get pregnant absent pollutant exposure. The researchers found that exposure to some chemical pollutants did indeed increase couples' time to conception. They also found a few surprises. For one, the pollutants that increased time until pregnancy differed between men and women. Additionally, there were more chemicals that impacted male fertility than female fertility. Specifically, the odds of pregnancy decreased 18 to 21 percent when a woman was exposed to PCBs 118, 167, and 209 and perfluorooctane sulfonamide (PFOSA, used in coatings that repel grease and water). For men, exposure to PCBs 167 and 209 also decreased conception odds by 18 to 29 percent, as did exposure to other PCBs (138, 156, 157, 170, and 172) and p,p'-DDE (a byproduct of DDT breakdown). Interestingly, male exposure to one chemical, PCB 101, actually increased conception odds (but I wouldn't go licking old transformers anytime soon). It's important to note that this study couldn't tease apart the effects that exposure to more than one of these chemicals may have had on fertility odds. This study shows how chemicals that were banned decades ago, like PCBs, most likely continue to impact human (and probably animal) health. One potentially heartening finding, however, was that the levels of chemicals in these subjects were largely below the levels found in a US-wide study conducted during the same time period. As the researchers suggest, this might be because the couples in this study were significantly younger than the population as a whole—which means either they have had less time to be exposed to these chemicals or, more optimistically, that there are actually fewer of these compounds floating around now.